If in doubt add more cameras and sensors, right Huawei? 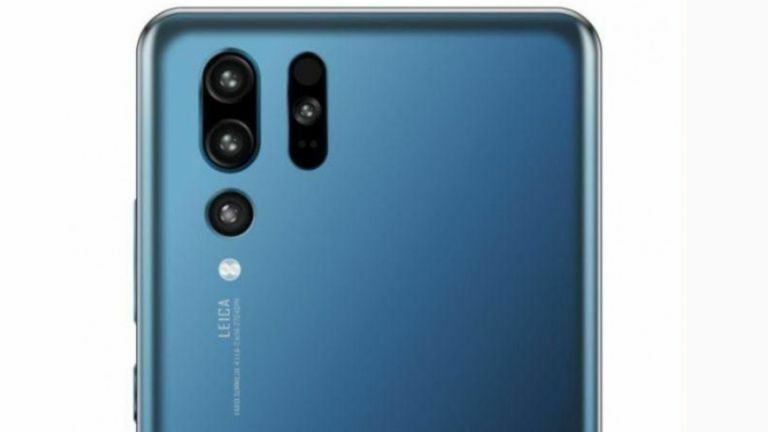 The new Huawei P30 Pro, which is rumoured to launch in March, is clearly going to be all about an impressive new camera, as that's what the P20 Pro made waves with, but it may be more amazing than we'd imagined. Yup, Samsung Galaxy S10-beating amazing. While the current P20 Pro features a triple lens camera system on the rear it's been repeatedly leaked that that P30 Pro will feature a quad camera. This new image comes as a concept render from Sandy via Slashleaks who has been semi-reliable in the past for these sorts of leaks. As you can see this uses the current dual and then third lens system but now adds in what appears to be another smaller lens to the right. That appears to be surrounded with two sensors above and below. There have been lots of rumours about laser cameras making their way to phones soon. Could this be that sensor? This may still be a little way off as Apple is rumoured to offer laser camera smarts in its iPhone 12 due out in 2020. But, of course, Apple is usually a bit behind Android when it comes to innovation these days. That said LG is also rumoured to be working on laser cameras right now. The Huawei P30 Pro is also rumoured to feature a water-drop style display and have 5G connectivity.